After having some disappointment with my Avon eyeshadow crayon I was in the market for some new ones – so off to Shoppers Drug Mart I went. 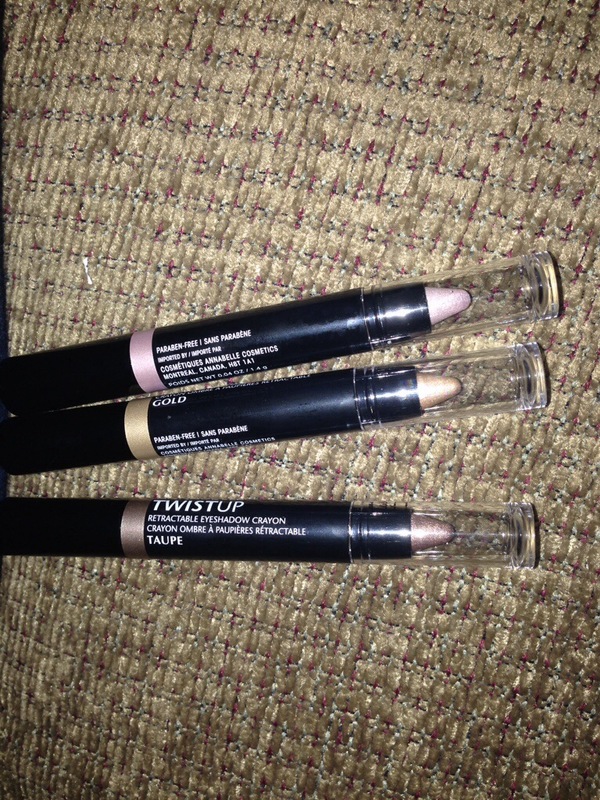 I’d been hearing good things about Annabelle Twist Up Retractable Eyeshadow Crayon so I picked up 3 – Pink, Gold and Taupe. Love these eyeshadow crayons – possibly the best I have ever used. The color goes on smooth and rich. They are easy to blend once on and really do last quite a long time – still holds strong after a day of work and an after work run! The price is right, the quality is great and if you are fan of eyeshadow crayons the I totally suggest picking some of these up! This entry was posted in Beauty and tagged annabelle, eye shadow, eye shadow crayon, twist up by maldham. Bookmark the permalink. 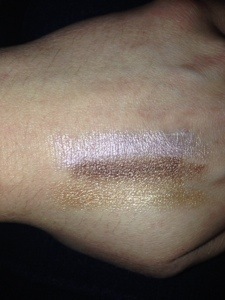 I love the pigment in these…..you picked a great combination. Do you wear them together? Oh these swatch so pretty together! I just love Annabelle.